A sympathetic participation in the verbal worlds of other times and places allows our students to enhance their appreciation for expressive possibility. Park Hall on the historic north campus is home to the English Department. Our own work as scholars and teachers strives to deepen our understanding of the critical and creative imagination. The English Department at the University of Georgia is a diverse scholarly community of more than 40 faculty, 100 graduate students, and more than 600 undergraduate majors and minors held together by a common commitment to preserving, transmitting, and extending the rich cultural legacy of the English language. At the core of our discipline lie the complex skills of reading and writing, and though these can be productively applied to a wide range of professional goals our own work as scholars and teachers strives to deepen our understanding of the critical and creative imagination. A sympathetic participation in the verbal worlds of other times and places, drawing on the full range of linguistic tools, historical knowledge, and interpretive experience at our disposal, allows our students to enhance their appreciation for expressive possibility. The diversity of the faculty's interests and research methods helps ensure that an English major at the University of Georgia develops a sophisticated, practical grasp of the central role that language plays in the preservation of human institutions. Wilbert Coburn Freer passed away February 26, 2019, in the Episcopal Church Home, Rochester, NY. Eidson Distinguished Professor LeAnne Howe's latest work, SAVAGE CONVERSATIONS, is a Paris Review staff pick. Eidson Distinguished Professor LeAnne Howe discussed her research process for SAVAGE CONVERSATIONS in a Lapham's Quarterly Roundtable. Beyond the Tenure-Track Symposium Panel, "What to Do During Graduate School"
We greatly appreciate your generosity. Your gift enables us to offer our students and faculty opportunities for research, travel, and any number of educational events that augment the classroom experience. Support the efforts of the Department of English by visiting our giving section. Read more. 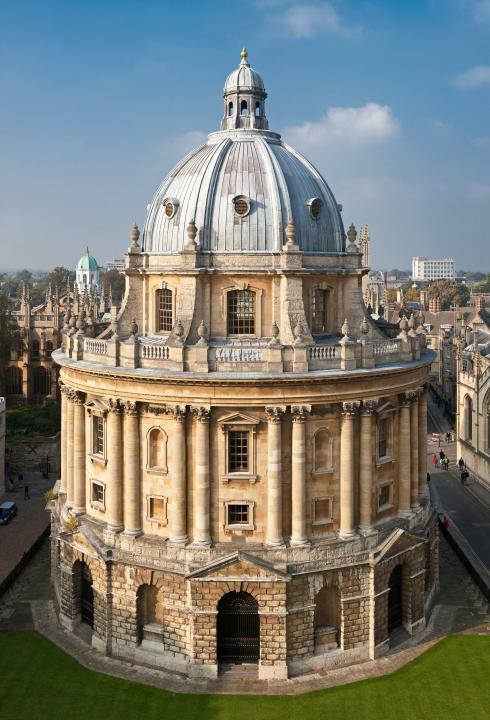 Why should you make Oxford your first choice for study abroad? Because we offer you the widest selection of courses, credit options, and program choices; because it is one of the world's leading universities, with its own distinctively independent academic culture; because you will be taught by Oxford faculty using the unique tutorial method of undergraduate education which has made Oxford famous; because you will study beneath the soaring domes and spires of its incredible and inspiring environment; because you will live and work within one of Oxford's beautiful colleges, and experience Oxford's collegiate life first-hand; because you will have the comfort, safety and security of our own UGA Center always at hand, as part of a program built on over 25 years experience. To learn more, please explore the pages below. The UGA Graduate English Program offers M.A. and Ph.D. degrees. Our Ph.D. program is primarily intended for students pursuing a career in college and university teaching and research. Our Master’s program serves many intellectual and career goals. Students earning their M.A.s go on to a variety of careers in education, publishing, law, and other fields that value advanced critical thinking and research abilities. Some M.A. students subsequently pursue a Ph.D. at other universities, or are admitted into our own Ph.D. program. For further information, consult the Application Information page. The Creative Writing Program at the University of Georgia directs and supports the emergence of the artistic voice in print by offering a Ph.D. in English with a creative dissertation. Our students are encouraged to develop a course of research that complements their writing practice and prepares them professionally for a teaching career at the university or college level. Our program fosters serious conversations among our students about aesthetics and criticism, experience and culture, and politics and history—not only in the classroom but through public readings and lectures. Our faculty and students play an active role in the cultural life of Athens, both as artists and organizers.